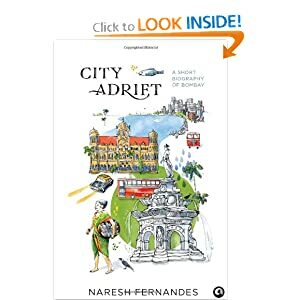 I am halfway through the book, and it has been a dry but intriguing narrative about Mumbai, its past, its cultural evolution, and its people. I am learning a lot of things about the city that I have been a part of for the last seven years. For the content, the narrative could have been a little more fluid. But I am not exactly complaining. 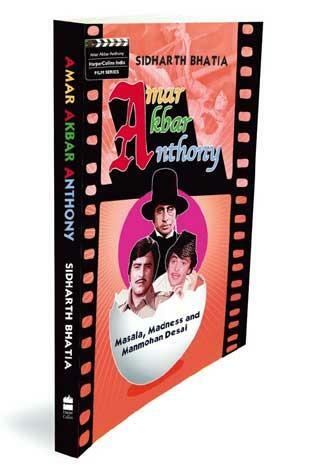 Harper Collins had started this series of books on some of the cult movies of Bollywood. They were supposed to be a behind the scenes insight on how those movies happened to be. Jai Arjun Singh’s Jaane Bhi Do Yaaron is probably the best of the lot. Deewar, probably the worst. AAA, so far, has been a disappointment, with a little over a chapter of a thin book wasted on telling us the story. Damn it, you’ve picked a cult movie, and the person interested in the behind-the-scenes is someone who already knows the story. Get it? For those who have seen the TV series many a times, the books is a parallel running compendium. For those who have not, and enjoy good old fashioned storytelling (albeit in Urdu heavy Hindustani), there is a lot of Mirza in this beautiful book. Starts off in the usual FF way. The narrative and context setting is going on. The intrigue is setting in. The context is a mysterious preacher who has a confounding effect on individuals turning them into murderous fanatics, before and after 9/11. I will come back with a more detailed review later on. This one’s going to be a difficult one to finish. I am halfway through, but everytime I drop the book, going back to it is a challenge. I recently finished reading Siddharth Tripathi’s The Virgins. Detailed reviews is pending, but for small-town-desis, its an extremely relatable book. The big positive – the easy narrative style. The big negative – the effort that has gone into developing the characters. However, works perfectly, if you want to pick something for an easy flight read or a quick weekend read.